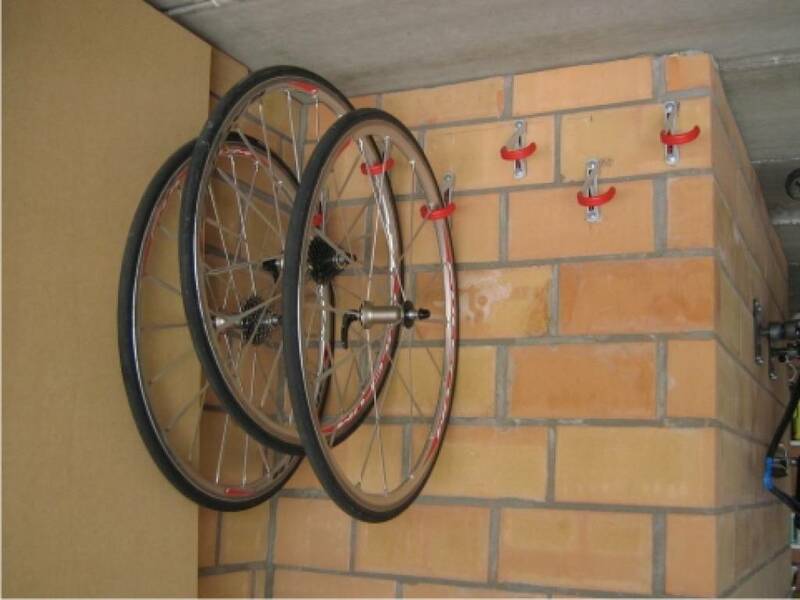 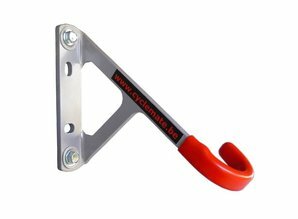 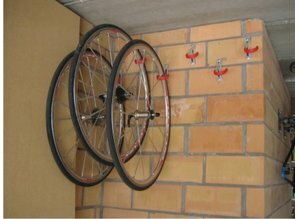 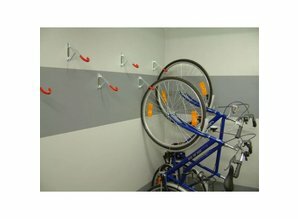 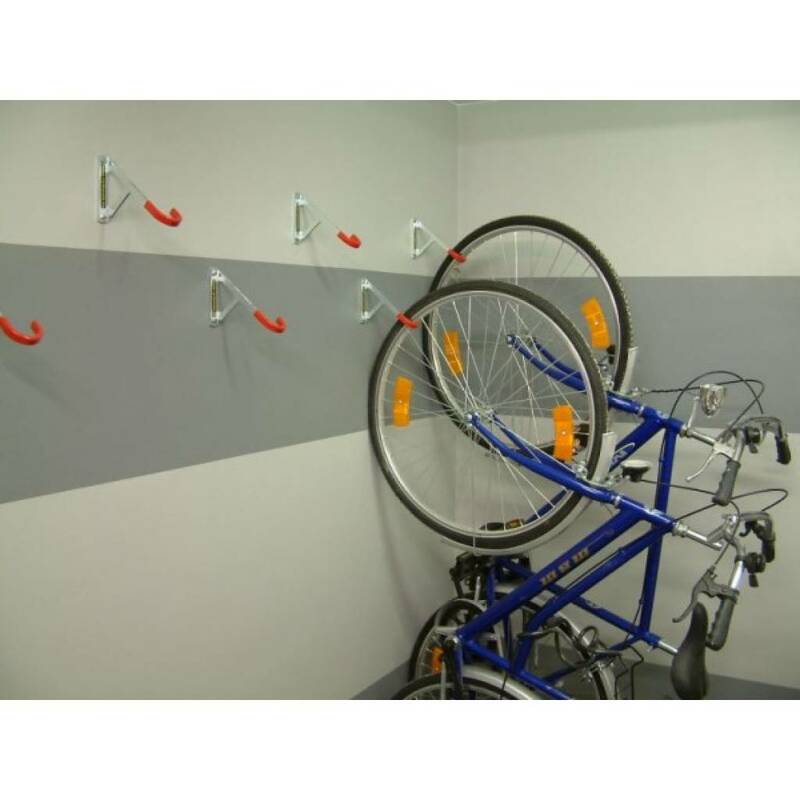 Bicycle Hook (indoor bicycle rack) with the possibility of closing with a cable lock, which is an EXTRA THEFT PREVENTION. 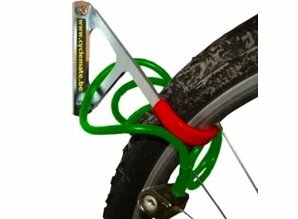 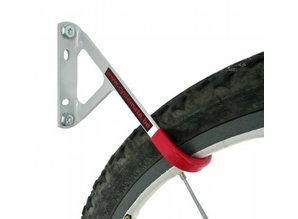 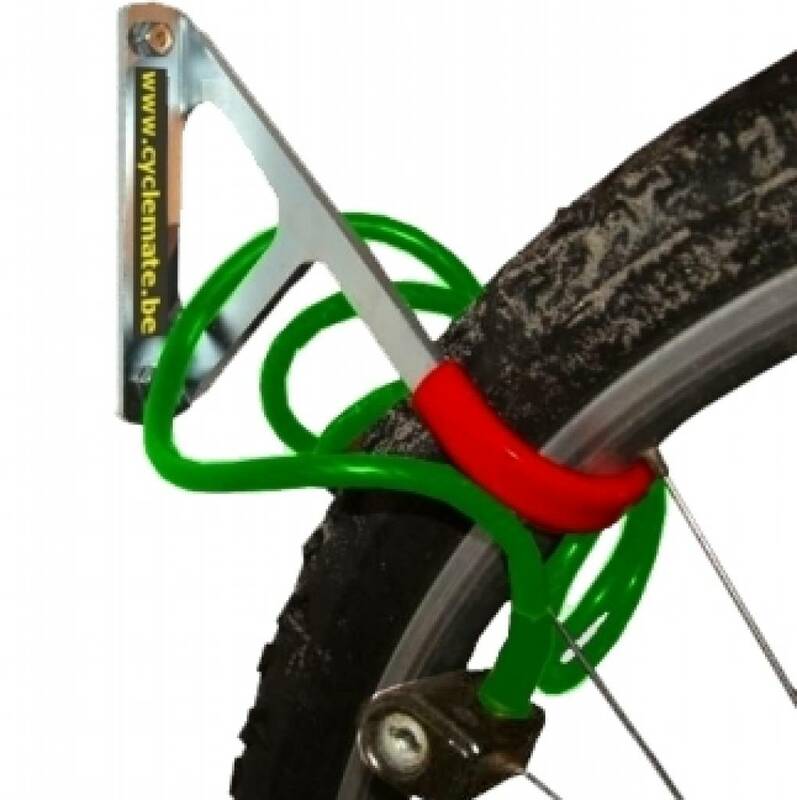 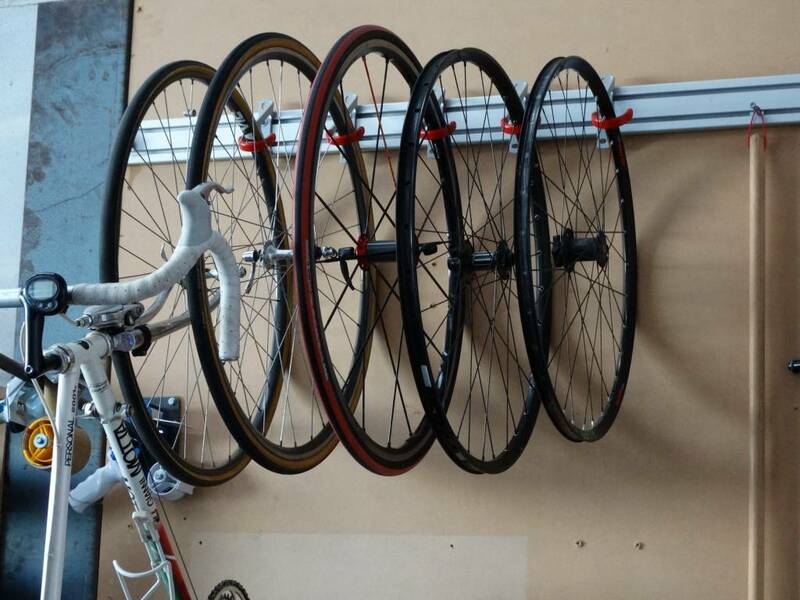 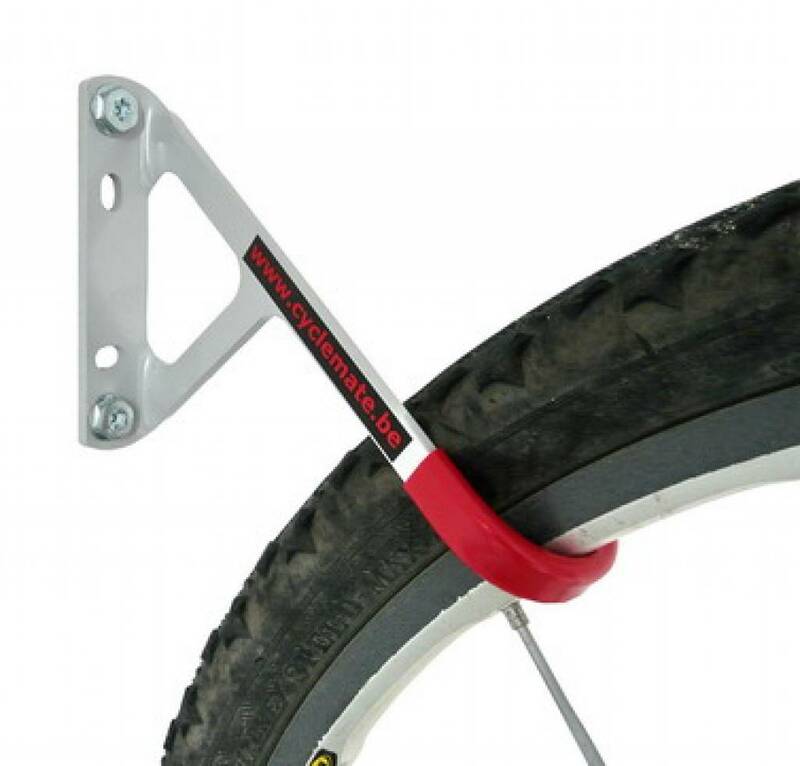 Thanks to the clever 45° design, it's easy to place the bicycle in the hook. 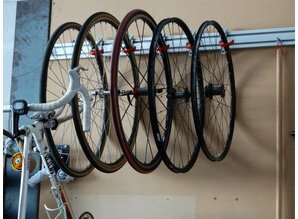 Supplied with plugs and screws. 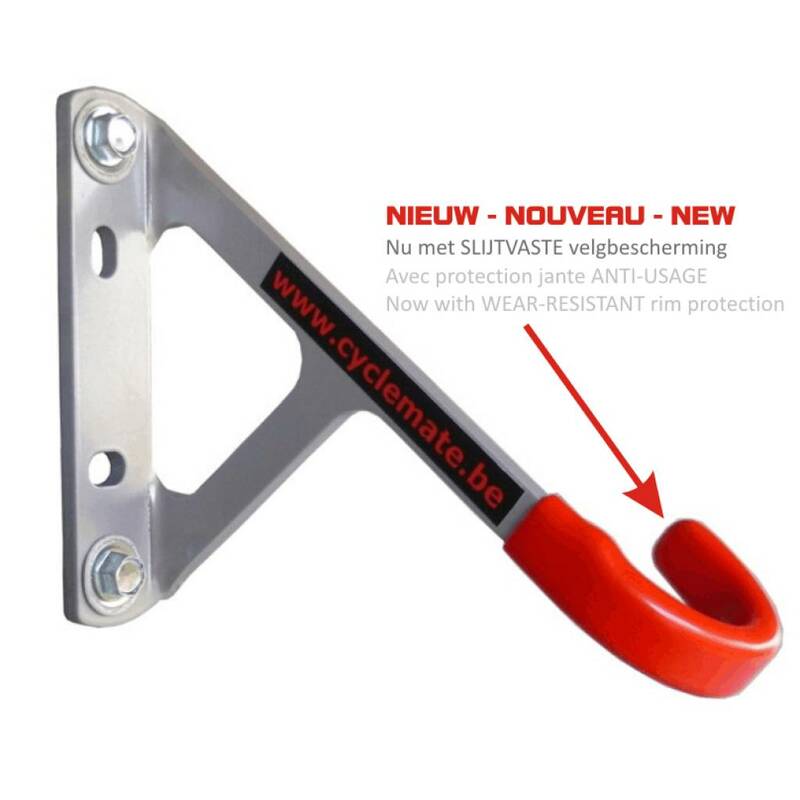 Now wih STRONG wear-resistant RIM-protection !